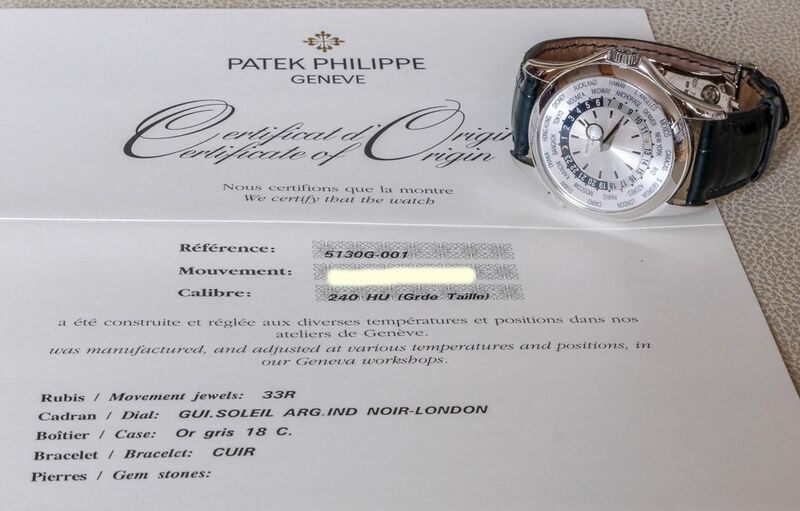 For sale is the Patek World Time Complication in WG, with box and papers, in very good condition. This is an automatic self-winding movement, nickel lever movement, stamped with the PP seal, mono-metallic balance, 22k gold micro-rotor. 18k white gold case 39.5 mm in diameter. 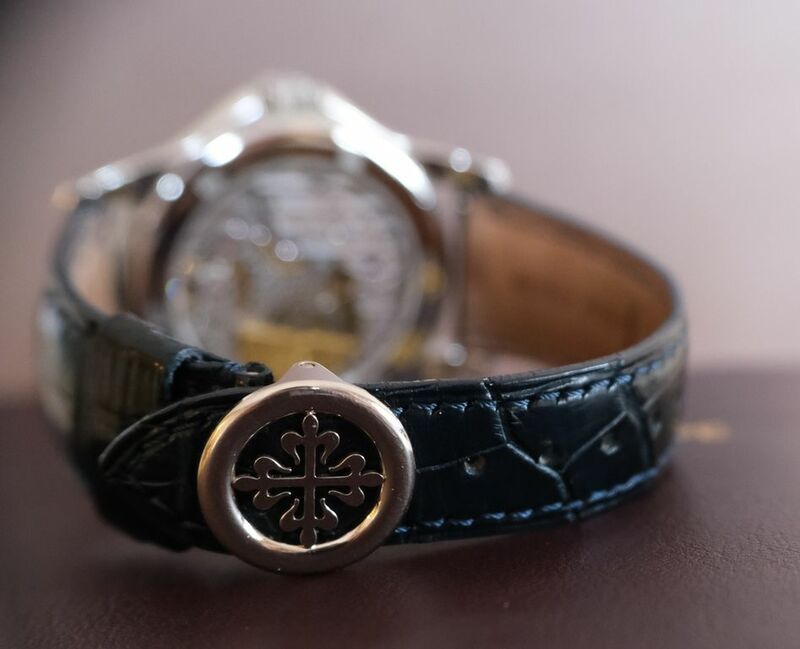 Crown with protective shoulders, pusher at 11 o'clock to change cities, screw-down sapphire crystal case back. 18k white gold smooth bezel. Scratch resistant sapphire crystal. 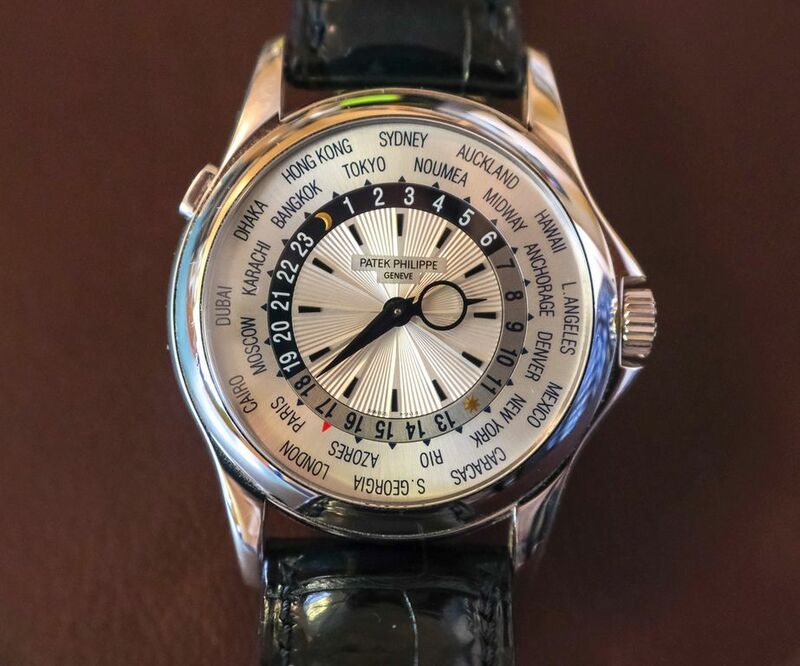 Silvered dial with engine turned sunburst center, applied baton numerals, concentric chapter ring calibrated for 24 hours divided into diurnal and nocturnal hours, outer ring with 24 world cities. Blue leather strap with 18K white gold deplyent buckle. Watch is in Hong Kong, and can travel to South East Asia, Taiwan or occasionally to the US. US and International references available. Can ship to CONUS.